Whether you work from home every day, some days, or use it to manage your home, a functional home office can help elevate productivity in any home. 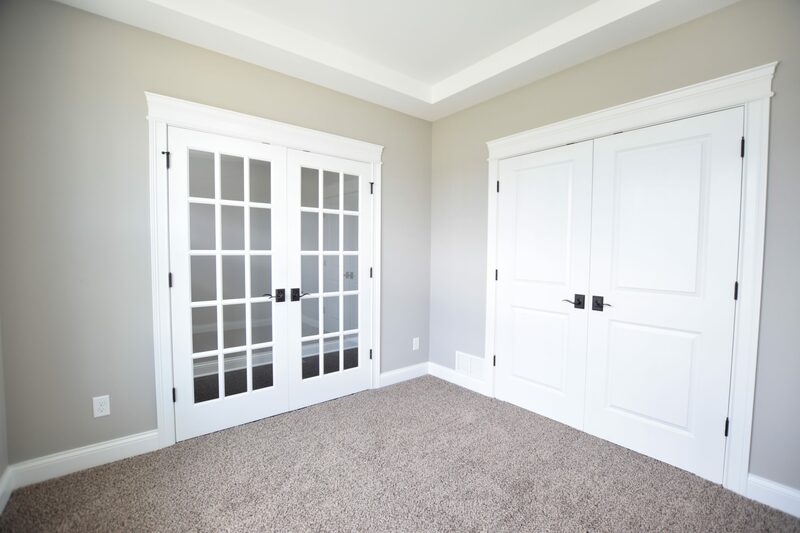 It’s likely that no matter what you’ll be using it for, your office will see many hours of traffic, so don’t deprive yourself on space and squish a tiny desk into a closet. 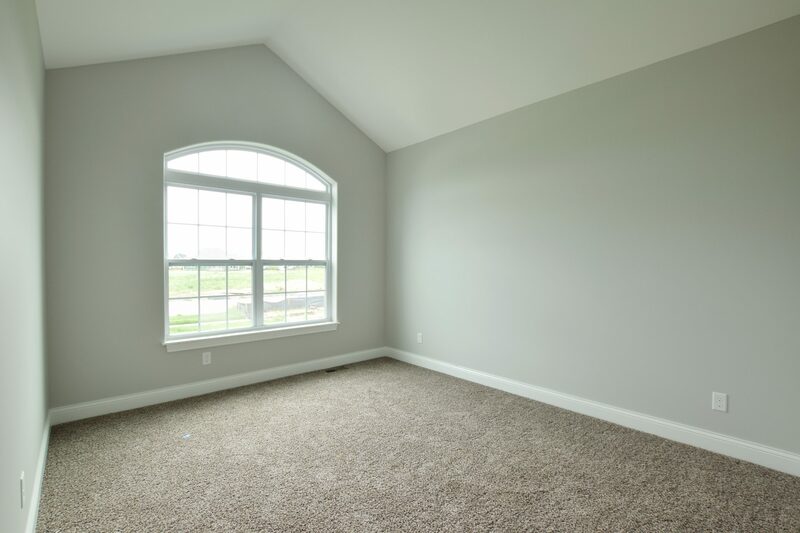 This picture window in the Madison allows natural sunlight to shine in and energize you as your set off to accomplish your to-do list. The functional space provides an area to watch as appointments arrive, but also allows you to get lost in the view of a fresh fall day. With this study tucked away from the rest of the hustle and bustle of other home events, you will be able to truly escape into your work, but quickly rejoin your family at the end of the day. The Haven has a similar feature with a gorgeous window to look out the front of the home, but french doors could be added to the front room to create a secluded space without feeling too isolated from the rest of the house activities. Consider your lifestyle and the traffic flow of your home. If you’re a person who likes to host guests and often finds their guest rooms full, but still needs to work in your office, don’t combine an office and guest room. 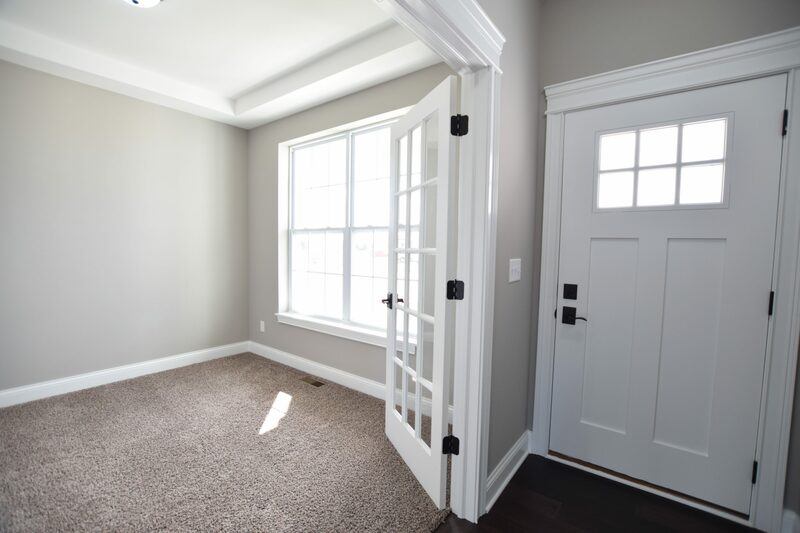 But if you’re not likely to fill up all the rooms of your home, consider the Castleberry’s fourth bedroom as a dual-purpose room and pair a small bedroom set up with a desk and small office arrangement. Working in a space that feels good to be in can help increase productivity and decrease stress. Don’t think that just because you’re working you can’t have a beautiful space. 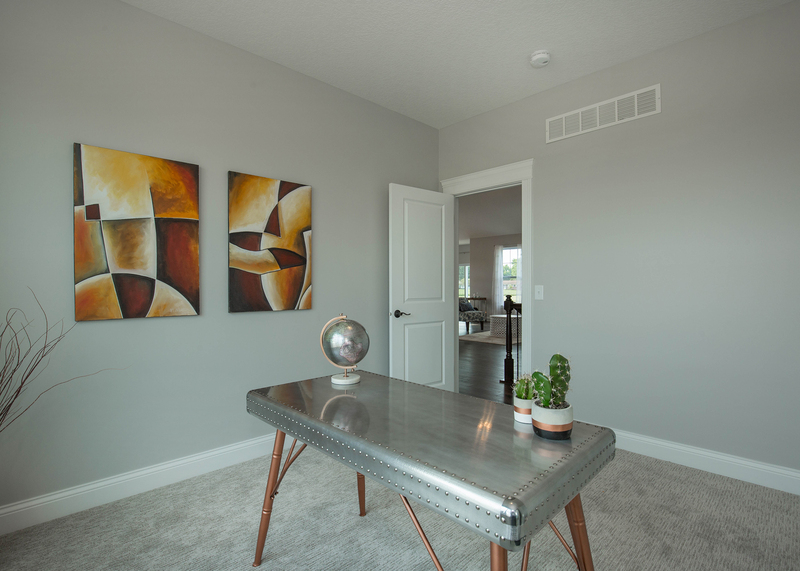 The slim, modern desk (above) placed in one of the rooms in the Ashbury provides a place to set up your laptop, and the extra touches to the decor create a calming space to take that three-hour conference call. 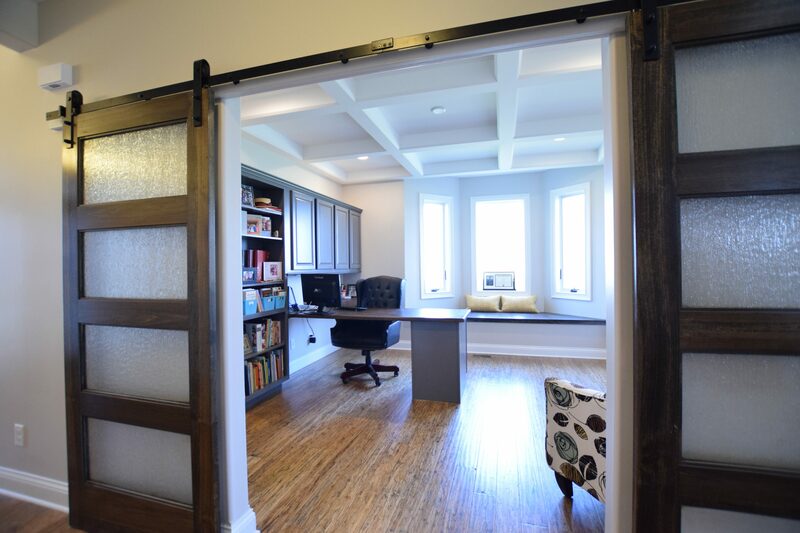 And the barn doors featured below in this custom home help create a secluded space to work while adding an elegant and unique feature to this home office. However you decide to design it, you deserve to work in style with a beautiful and functional home office. Ready to get started? Contact us to get started building your dream home.